Few businesses use a marketing campaign template, but this simple document could transform the way you achieve your digital marketing goals. Think of this template like a digital roadmap that guides you to your final destination, whether that's more sales, brand awareness or lead generation. 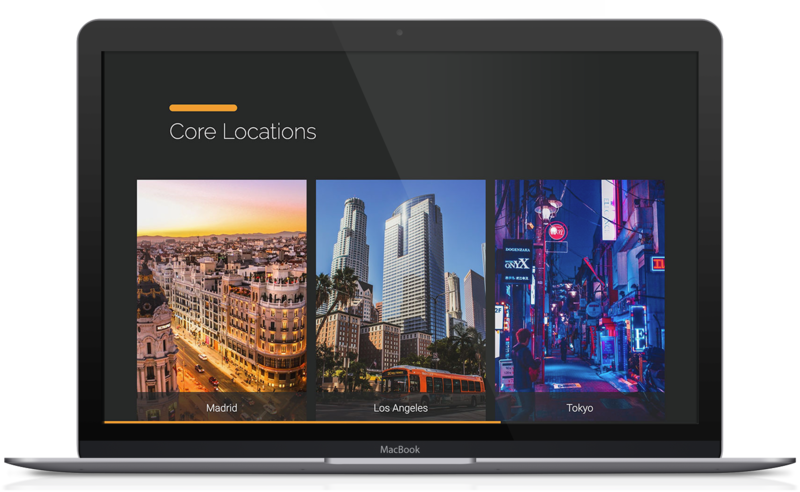 You can use it to pinpoint specific marketing objectives, predict future trends, secure investment and optimize workflows. Not all marketing campaign templates are created equal, though. 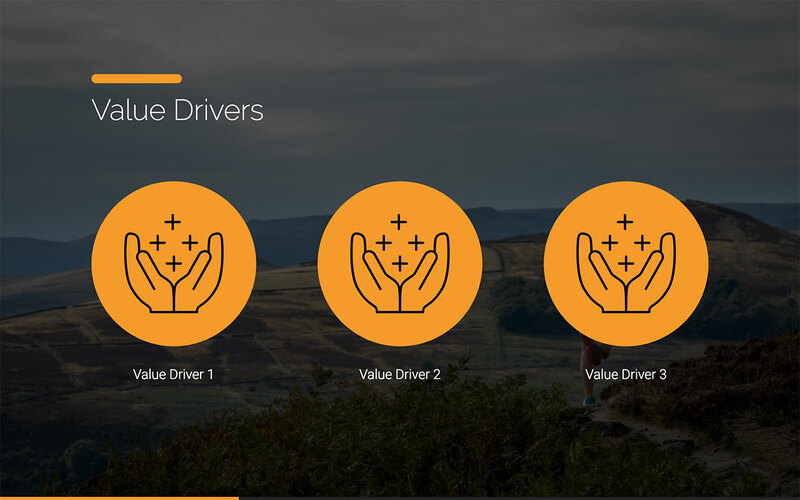 Some types of presentation software make it difficult to add and remove visuals like charts, graphs, and infographics, for example. Others are just too complicated. 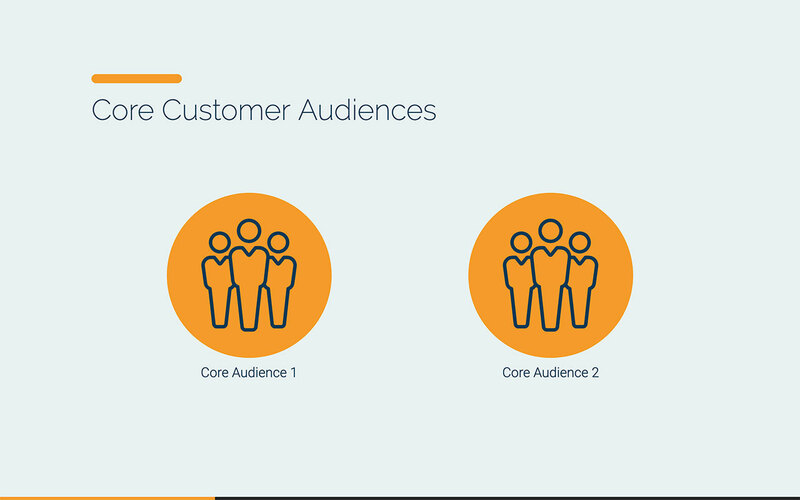 That's why it's crucial you choose a presentation tool that lets you create an awesome marketing pitch deck without any of the fuss. 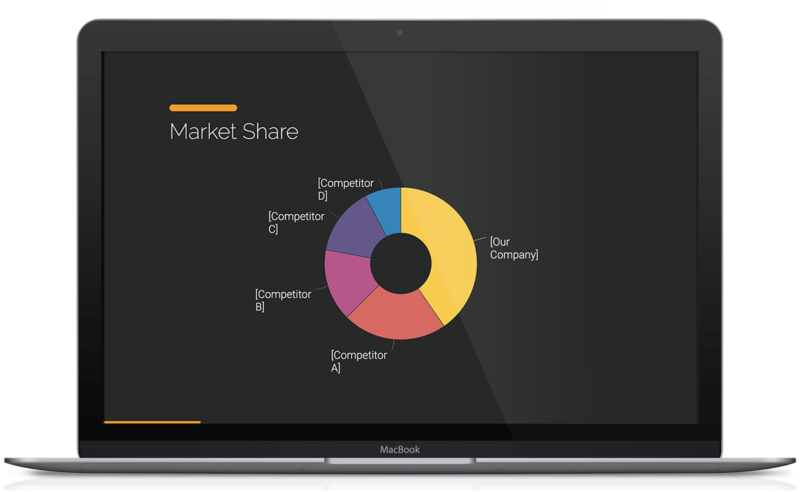 Our template lets you present all of your marketing information to prospective clients, customers and investors. 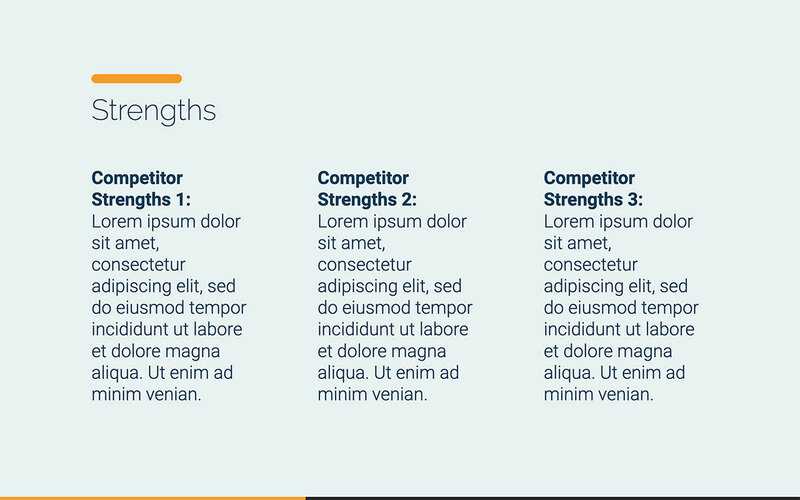 Marketing strategies, distribution channels, company analysis — you can display all of this information in your template. 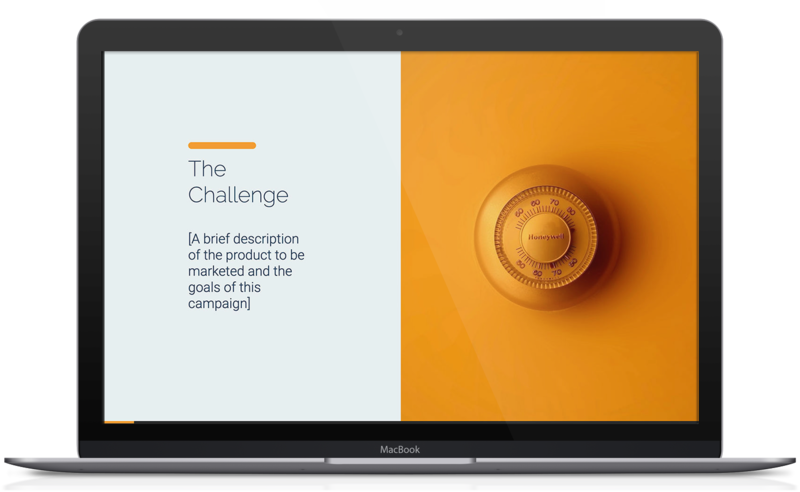 This type of pitch deck makes it easy for people to view your intentions and long-term strategic goals in one place. There's no need for multiple documents or different pieces of software. 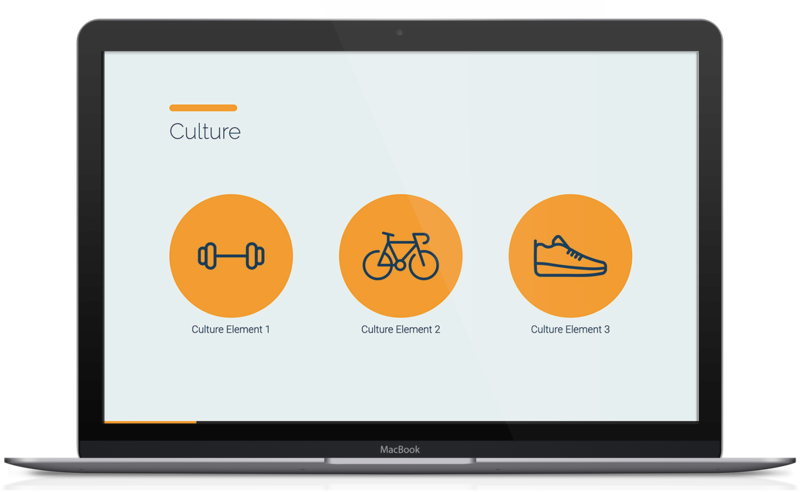 You can use our template as a standalone presentation or embed it into your website with a simple snippet of code. 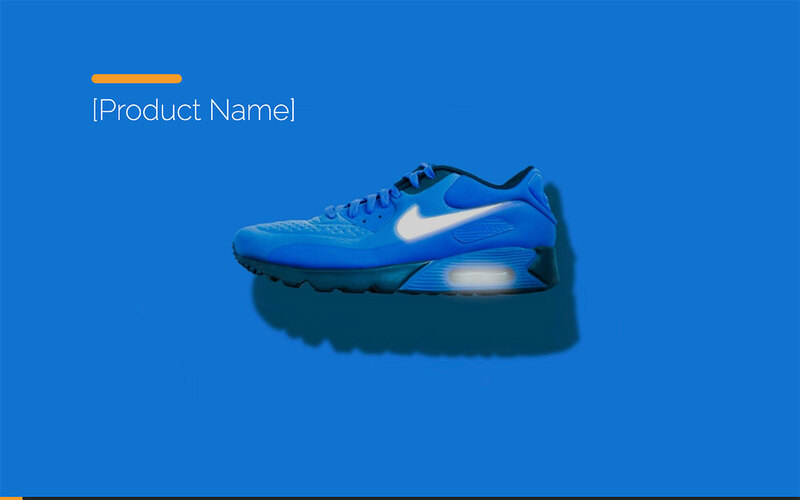 Alternatively, use it as your email signature to tell prospective clients about your marketing objectives or share it on your social media pages. 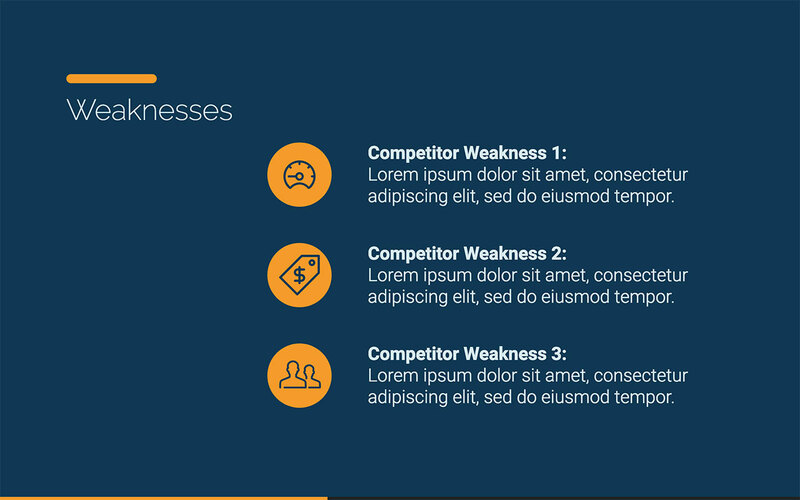 Our marketing pitch deck template is really easy to use. 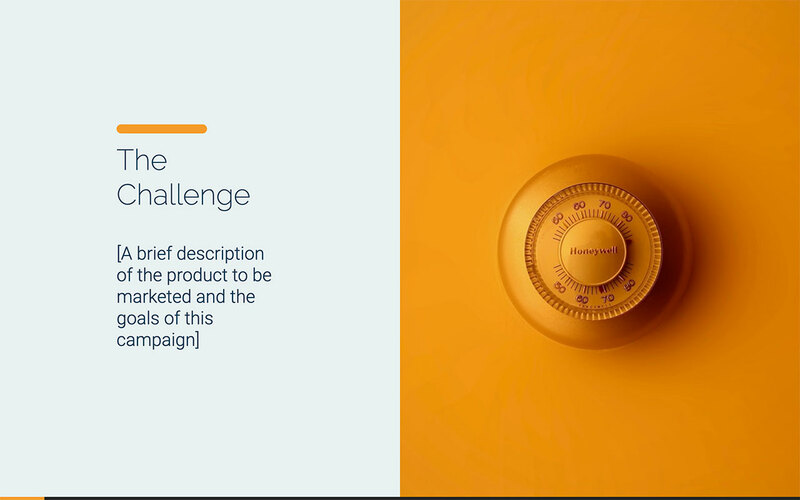 Whether you are a startup, scaleup or multinational corporation, you can use our slides to outline your marketing briefs, challenges, goals, and strategies. It's no wonder, then, that companies just like yours have used this template to optimize their online campaigns. 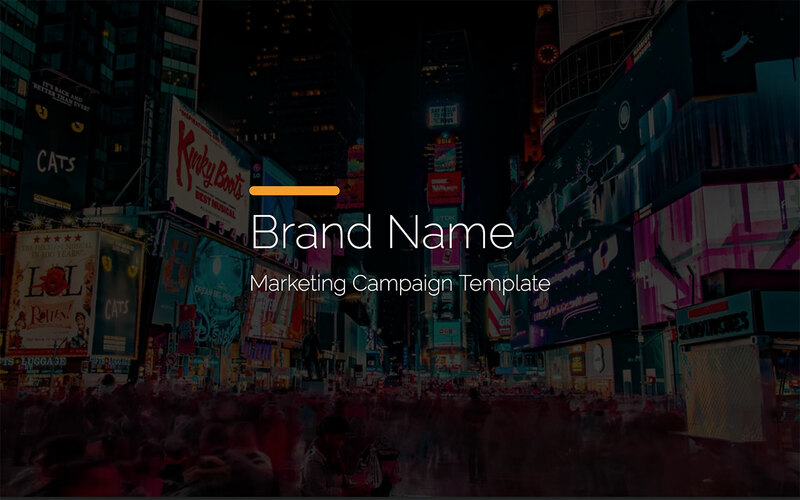 It can take you just a few minutes to create a marketing campaign template. 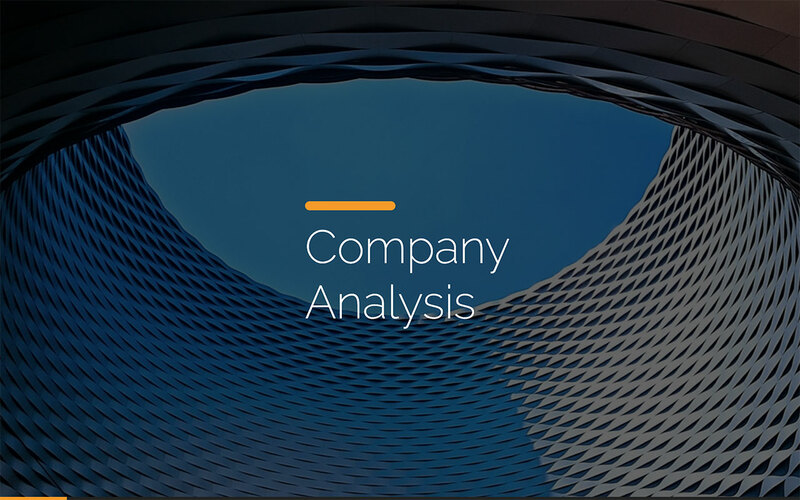 Plus, when you're done, you can track investor and client activity on your slides with the latest analytics. 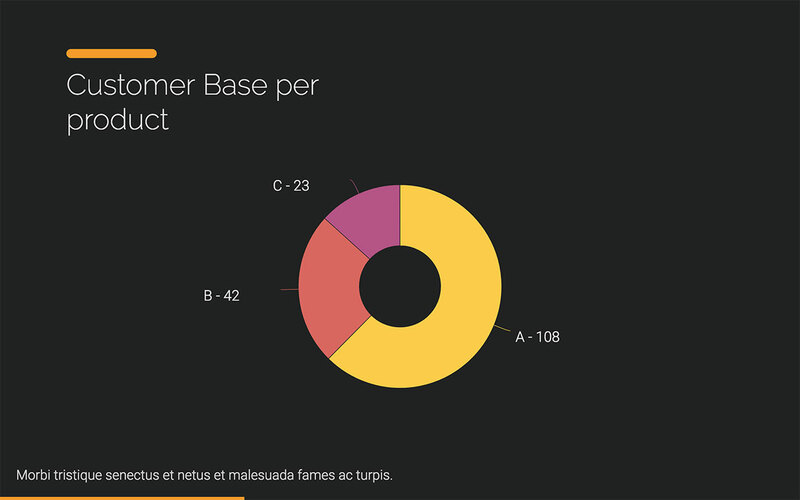 Use these metrics to finetune your future pitch decks. 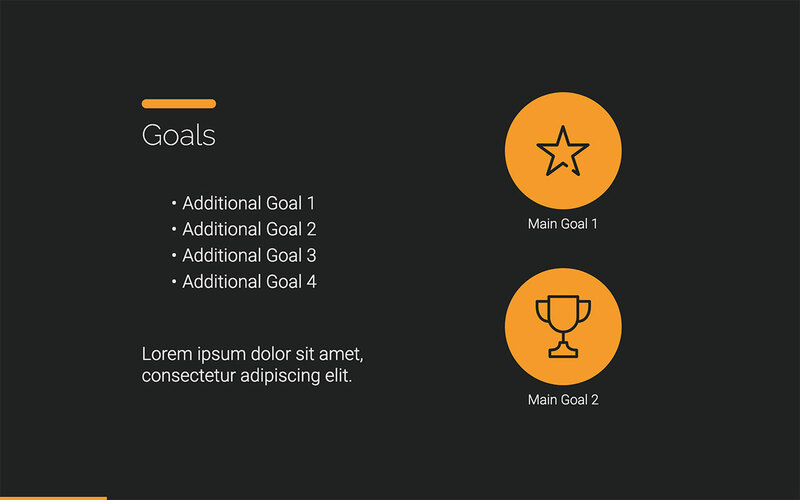 Use this slide to detail the goals of your upcoming campaign. Include as little or as much information as you like — there's plenty of space. Want to get creative? Add an image to wow potential clients and investors or include an infographic. List your marketing goals, so clients know about the objectives of your campaign. Whether you want to generate leads, boost sales or increase brand awareness, this template will serve as the foundation of your marketing drive. Prospective clients are far more likely to respond positively to visuals. Research suggests that when people hear data, they remember only 10 percent of that information three days later. If a relevant image accompanies that same data, however, people retain 65 percent of the information. 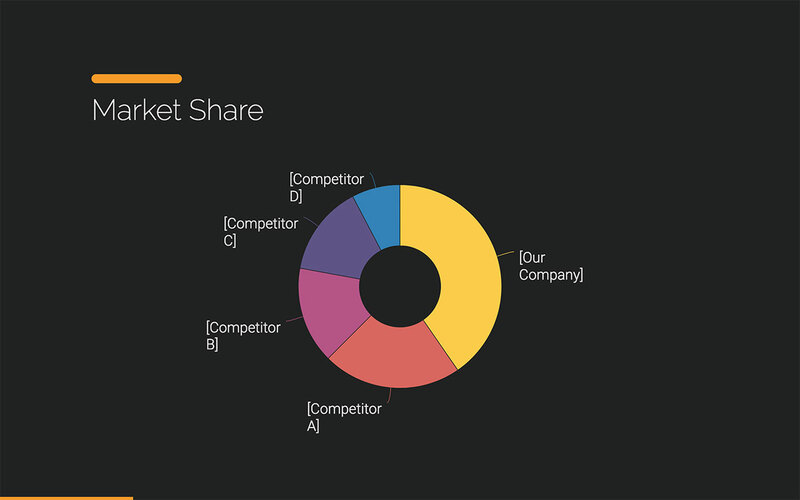 Our market share infographic lets you showcase important information like market share percentages, industry leaders, and total sales in a visual way. 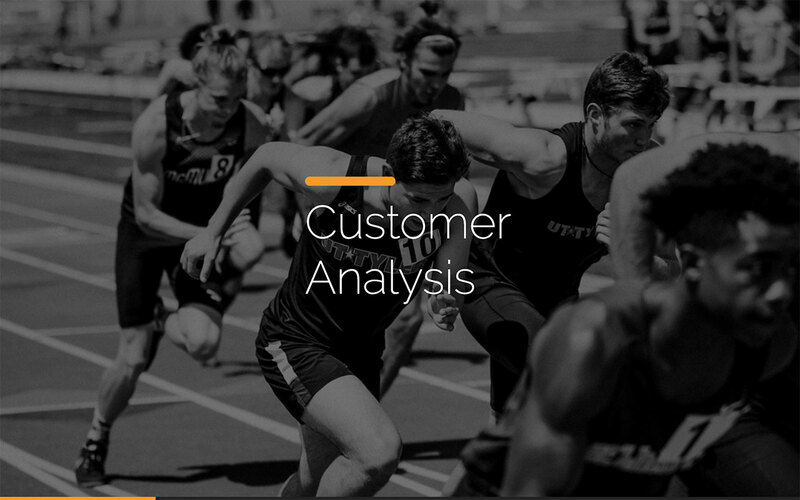 Customer analysis can be a tricky concept to convey in a presentation. 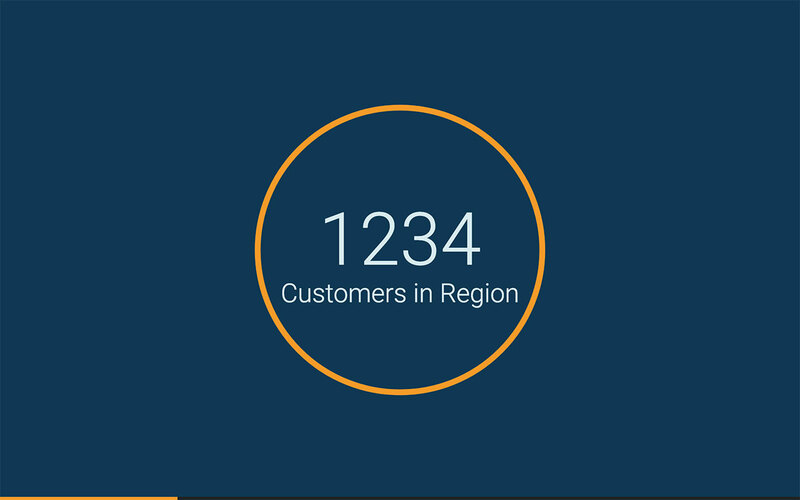 Thankfully, our template makes it easy to list important facts, stats, and quotes, and you can detail core customer audiences and value drivers. The result? Clients and investors know which markets you are trying to target. 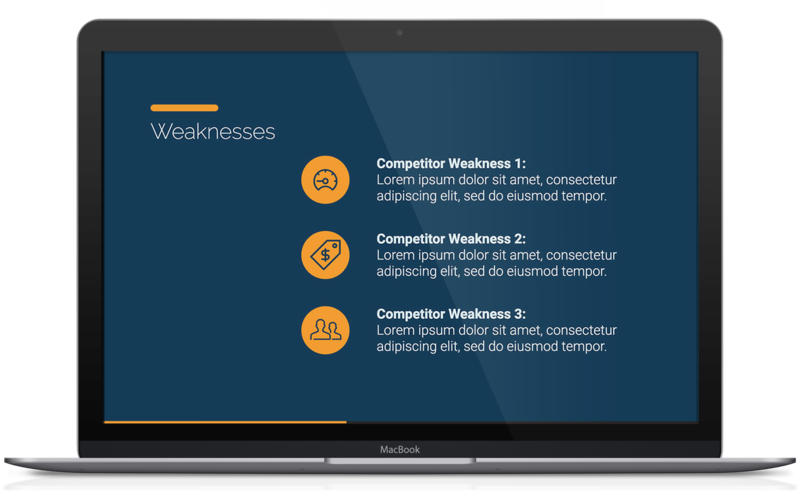 Differentiate yourself from your rivals with our marketing campaign template. 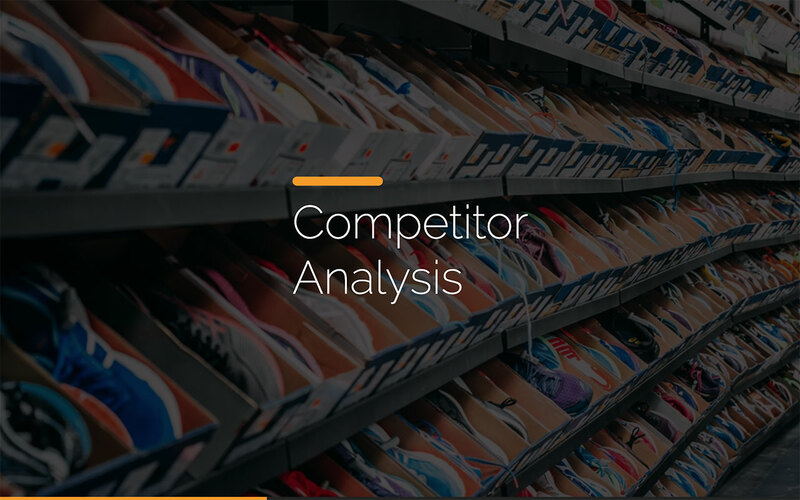 You can detail the strengths and weaknesses of your competitors and increase your chances of securing investment. How do you plan to execute your digital campaign? 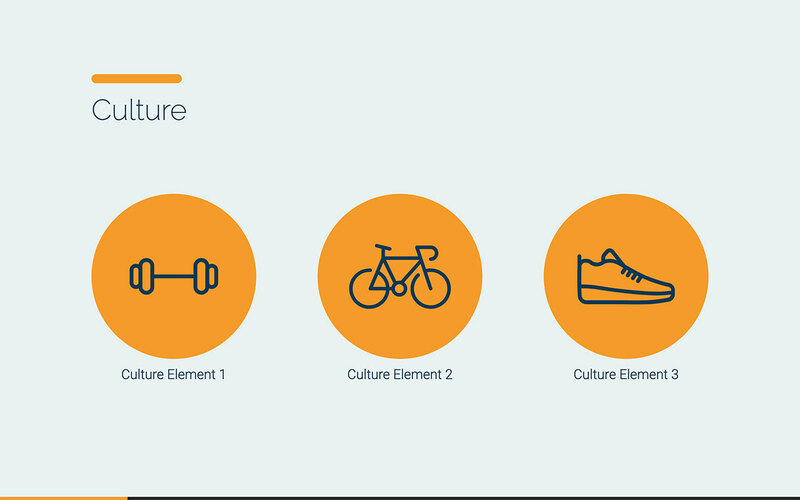 Include all of this information on our marketing strategy slides. List the marketing platforms you plan to use — social media, video, email or paid search, for example — distribution channels and core locations.